The Signals Arm’s Party Executive Committee and High Command take firm grasp and successful implementation of the 12th Politburo’s Directive No. 05-CT/TW on “stepping up the study and following of Ho Chi Minh’s thought, morality and lifestyle (hereinafter Directive No. 05) as an essential precondition for improved quality of their Party building, cadres and Party members’ training, and leadership over political tasks. During his lifetime, President Ho Chi Minh devoted close attention to communications systems earmarked for the purpose of leadership and command. “Communications assume overwhelming importance to the revolutionary work as the former decide unified command and distribution of forces, thereby ensuring a victory”, he underlined. The Signals Arm (hereinafter SA) adopted his teaching as its motto during the process of building, combat and maturity, particularly of the implementation of Directive No. 05 and Directive No. 87-CT/QUTW ((hereinafter Directive No. 87) by the Central Military Commission’s Standing Committee on “stepping up the study and following of Ho Chi Minh’s thought, morality and lifestyle”. With their pro-activeness, the SA’s Party Executive Committee and High Command have concentrated their leadership on the implementation of Directive No. 05 and Directive No. 87 in accordance with superior agencies’ guidelines and their affiliates’ specific conditions. This lays a firm basis for making their inferior units clean and strong, for improved quality of cadres, party members and the masses, for a remedy to manifestations of degeneracy, “self-evolution” and “self-transformation” from within, thereby promoting qualities of Uncle Ho’s soldiers in the new situation. For the sake of uniform implementation within the entire SA, the SA’s Party Executive Committee has formulated Plan 173-KH/ĐU to step up the study and following of Ho Chi Minh’s thought, morality and lifestyle, which closely link the implementation of Directive No. 05 with that of the Resolution of the 12th Central Party Committee’s 4th plenum on Party building and rectification, and of the movement “Promoting traditions, devoting talents to deserve to be Uncle Ho’s soldiers”. At the same time, political activities have been organized broadly and deeply so that cadres, party members and the masses within the SA can study and follow Ho Chi Minh’s thought, morality and lifestyle on a self-aware, regular basis. Accordingly, the SA’s Party Executive Committee and High Command have directed inferior units to firmly grasp and fully actualize guidelines by the VPA’s General Department of Politics, Directive No. 05 and Directive No. 87, thereby effectuating heightened awareness among cadres, party members and the masses within the SA of fundamentals and values of Ho Chi Minh’s thought, morals and lifestyle as to Party building and to training of cadres and party members. Based on their own units’ specific conditions, all-level Party executive committees within the SA have administered comprehensive educational programs. 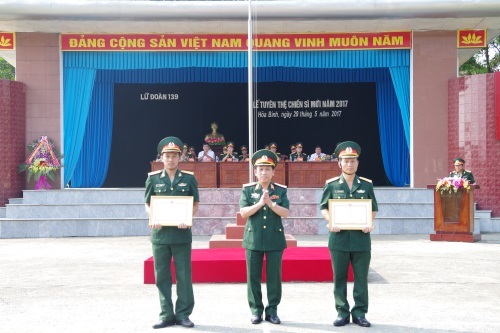 The SA’s affiliates have closely linked the study and following of Ho Chi Minh’s thought, morals and lifestyle with the actualization of resolutions, first and foremost the resolution of the SA’s 11th Party Congress, collectives’ education with individuals’ self-training, contributing to turning Ho Chi Minh’s thought, morals and lifestyle into the entire SA’s firm spiritual base. The SA is responsible for managing a wide variety of modern weapons and equipment while its affiliates are diffusely stationed with lots of them in remote areas. Besides, their soldiers have to operate independently in face of harsh weather, complicated and unpredictable contingencies, which necessitates a tremendous sense of self-discipline. Against this backdrop, the SA’s Party Executive Committee and High Command have directed the lower echelons to concentrate on setting proper standards and criteria for cadres, Party members and the masses while promoting a profound sense of model role-setting responsibility among the contingent of all-level commanders. Thoroughly grasping the motto “higher echelons first and lower echelons later” and closely combining “building” with “fighting”, the SA has directed inferior Party executive committees to include Directive No.05 into their plans for the implementation of resolutions of all-level Party congresses (during the 2015-2020 tenure) with specific quotas and criteria. Grounded in 6 general moral standards and 5 criteria for “Uncle Ho’s soldiers” in the new situation, the Standing Committee of the SA’s Party Executive Committee has issued Decision No.245-QĐ/ĐU, dated March 1st, 2017 on criteria for studying and following Ho Chi Minh’s thought, morality and lifestyle within the entire SA. At the same time, inferior units have been requested to set their own moral standards in line with their specific conditions. The SA’s contingent of all-level commanders are requested to strictly observe Regulation No.646 of the Central Military Commission’s Standing Committee and Regulation No. 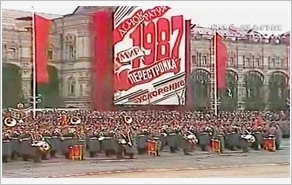 55-QĐ/TW dated December 19th, 2016 by the 12th Politburo on “some matters of urgency concerning a heightened sense of model role-setting responsibility among cadres and Party members” with emphasis placed on role, responsibility, qualities and competence of cadres and party members and on exemplars in their work and daily life as well as on “4 buildings (building firm political will, building strong determination, building a heightened sense of responsibility and building a scientific working style) and 6 fightings (fighting manifestations of “self-evolution” and “self-transformation”; fighting manifestations of mediocrity; fighting manifestations of bureaucracy; fighting manifestations of undue reliance on higher echelons; fighting manifestations of promising too much but doing too little; and fighting manifestations of failing to match words with deeds)”. Annually, party members shall submit their own plans to Party cells for perfection. Meanwhile, Party cells shall inspect and supervise their party members based on the latter’s implementation of registered plans on a monthly basis, which is taken as one of the criteria for year-end rewards and assessment. Those uniform aforementioned measures have effected positive changes in awareness and sense of responsibility among the SA’s contingent of cadres and party members concerning the study and following of Ho Chi Minh’s thought, morality and lifestyle, thereby encouraging the masses to do in kind. The SA’s Party Executive Committee highlights the paramount importance of the resolution of the 12th Central Party Committee’s 4th plenum and Directive No.05 to the work of Party building and training cadres and party members. Therefore, it has directed inferior party executive committees to focus on making party organizations clean and strong, constantly heightening party cells’ leadership capacity and combativeness, actively reforming the procedure for introducing and implementing resolutions, enhancing “2 qualities (quality of resolutions and quality of implementing resolutions) and 2 intensifications (intensification of self-criticism and criticism and intensification of sense of model role-setting responsibility)”, building party organizations based on “4 goods” (good awareness and responsibility; good political activities; good democracy, solidarity and discipline; and good self-criticism and criticism). Simultaneously, they are requested to strictly observe the principle of democratic centralism, to step up inspection and supervision, to heighten self-criticism and criticism, to expand democracy, to promote collective brainpower, and to foster a sense of solidarity and unity. Party executive committees shall operate based on the principle of collective leadership and individual responsibility. The contents of the work of Party building have been closely associated with criteria for the implementation of Directive No. 05, enabling manifestations of formalism and cursoriness to be remedied. The management of party members has been properly performed in terms of their political ideology, social relations, morality and lifestyle. The management by party executive committees and party cells has been closely linked with individuals’ self-management. Moreover, manifestations have been resolutely combatted of degradation in political ideology, morality and lifestyle, of “self-evolution” and “self-transformation” from within. Relations have been properly handled, especially among commanders, members of party executive committees and relevant agencies. Members of superior party executive committees frequently attend inferior party executive committees’ conferences to opportunely direct the latter to remedy their shortcomings, thereby forming widespread consensus and strong political will to effectively implement Directive No.05. The SA’s Party Executive Committee and High Command have frequently directed their affiliates to closely associate the implementation of Directive No.5 with that of movements “Promoting traditions, devoting talents to deserve to be Uncle Ho’s soldiers” and “Determination to win”, thereby effectuating a far-reaching effect on the life and work of cadres and soldiers. Party executive committees and commanders at all levels within the SA have been requested to opportunely commend and multiply role models and creative models for implementation, including “exemplary classes”, “couples of friends going far together”, “Information technology club” and “English-speaking club” in the College of Signals Officer, “scientifc research club” in the Hi-tech Information Technique Center, “100 -VND house” in Brigade 139, “Beauty of Privates” in Brigade 596, to name but a few. Thanks to uniform measures and self-awareness of cadres, party members and the masses, the implementation of Directive No.5 within the SA has seen initial positive results, thereby strongly encouraging the SA to overcome difficulties to successfully fulfil its assigned tasks.